ANZ Bank has appointed Scott Collary as its new CIO, seven months after the departure of Anne Weatherston. Shifting ANZ Banking Group from an Australian and New Zealand centric bank to a super-regional Asia Pacific financial services entity while implementing new technology is Anne Weatherston’s top priority for the next five years. While CBA CIO Michael Harte has dismissed data sovereignty and security excuses used by businesses not to move to the cloud as “absolute garbage”, over at ANZ, CIO Anne Weatherston has taken a different approach to cloud adoption. 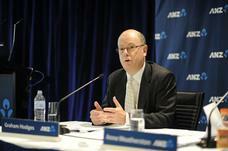 ANZ today announced the appointment of Alistair Currie as group chief operating officer (COO).